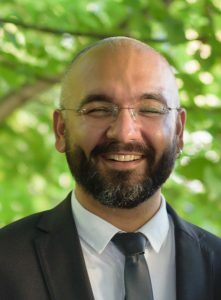 Murat Tugrul is a physicist and a theoretical biologist. He enjoys investigating complex systems with an analytical approach at the interface of theory (i.e., rational thinking, mathematical & computational modeling) and observation (i.e. facts, data analyses). Having trained himself in various disciplines (theoretical physics, philosophy and history of science, computation, population genetics, biophysics, and data analyses) he has contributed to the scientific community by investigating on transcriptional gene networks, macroevolution, evolution of regulatory DNA, epigenetic programming in cancer. Although he is still curious about diverse natural phenomena and dedicated to their scientific understanding (and teaching), most of his current research revolves around a fundamental phenomenon of life: gene regulation, i.e. how amount and timing of gene expression (RNA and protein: functional molecules of the organism itself) are adjusted in a living cell. He is especially interested in mathematical and biophysical understanding of regulatory mechanisms and factors determining the characteristics of gene regulation in developmental and evolutionary time scales. In order to achieve this ambitious aim, he tries to position myself at the intersection of 1) mathematical & biophysical modeling, 2) quantitative experimentation and iii- computational data analysis. Furthermore, he has been very active in organising various scientific and outreach events, teaching math and science, and writing popular science articles.